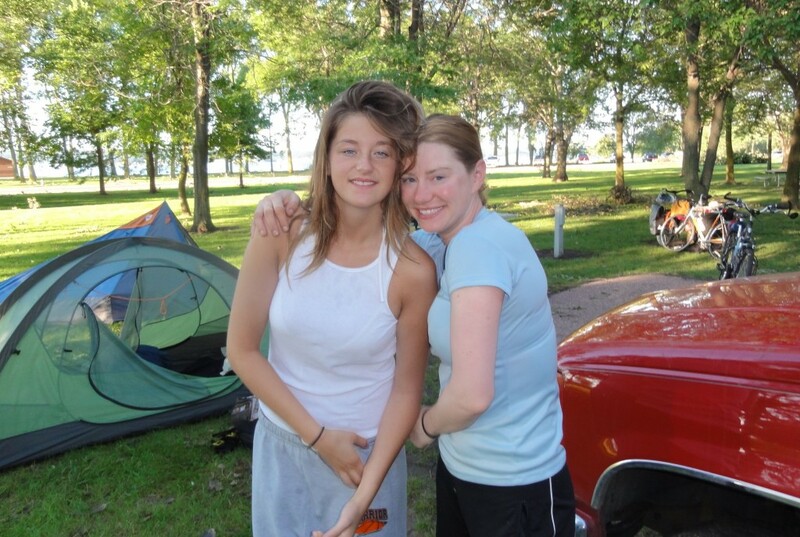 The eve before we cycled into Lewis & Clark State Park in Yankton, SD. We were met by Jess’ cousin Markie and uncle Kerry. 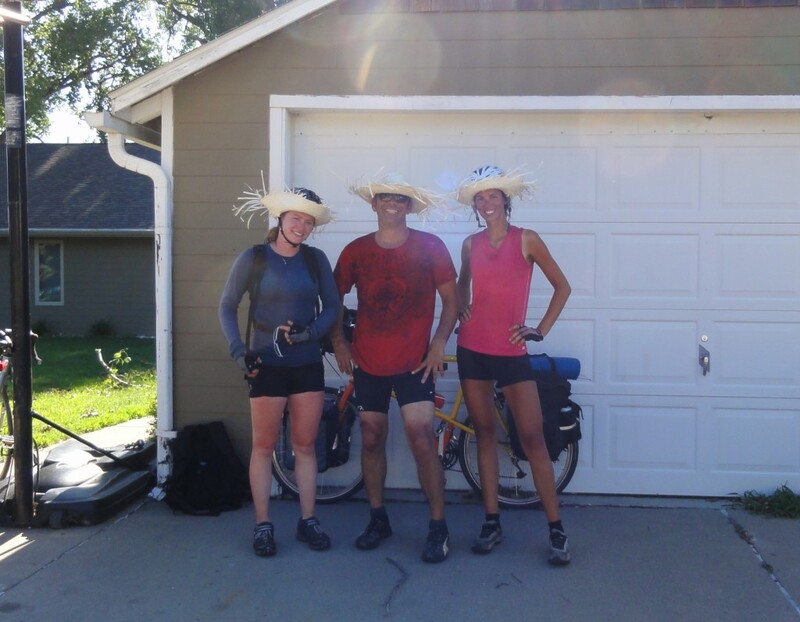 Kerry planned on cycling with us for the 70 plus miles into Sioux City. 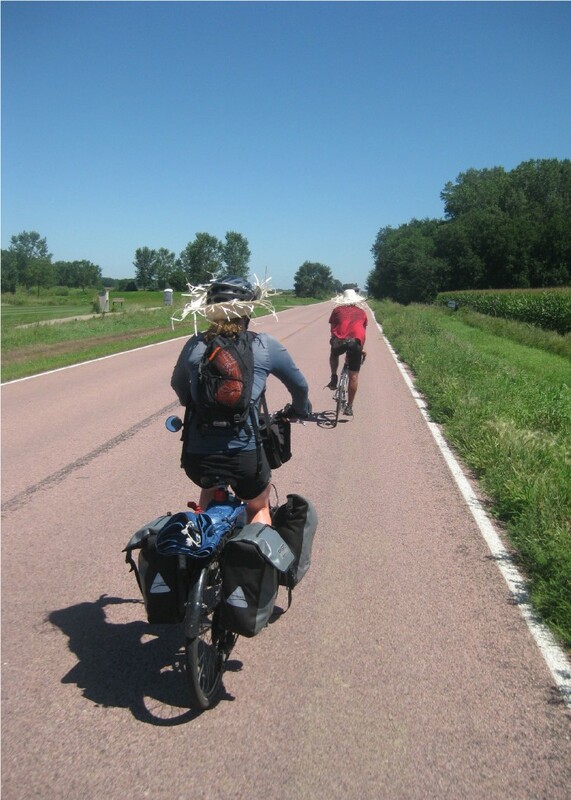 We cycled through corn and soybean fields, through residential areas and even a bit on the interstate. 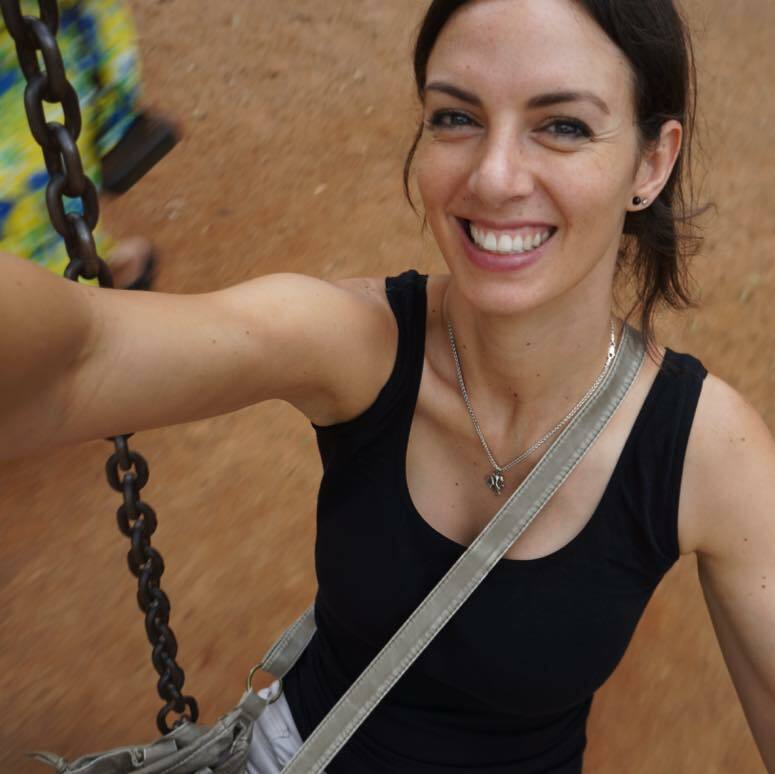 It was fun having a third cyclist join us for the day to get a glimpse of what our trip has been like. 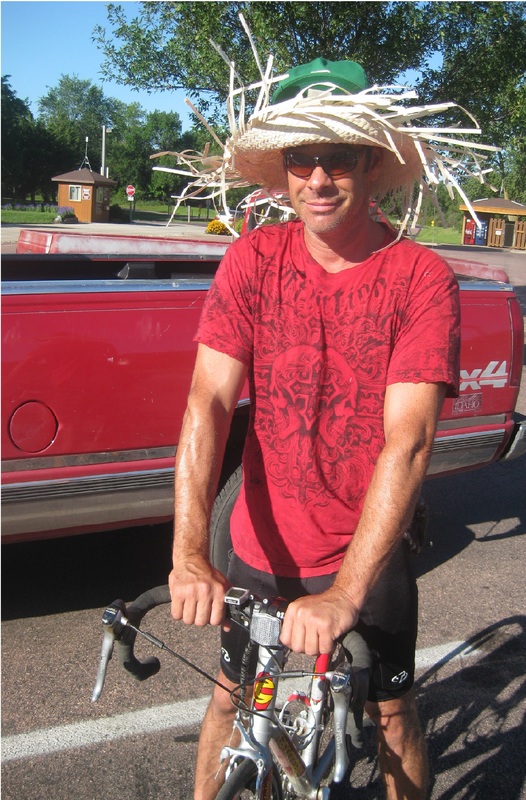 Kerry’s energy, antics, and invigorating conversation (as well as contribution of straw hats) made for a hilarious day of cycling. Three sweaty amigos happy to be in Sioux City.